Courtesy of JAMIE BERRIER, RSR, REALTORS, LLC. ABSOLUTELY STUNNING & SPOTLESS-SHOWS LIKE A MODEL! First floor master suite with open concept living, loads of light and windows, large gourmet kitchen with SS appliances, custom backsplash, upgraded cabinets, island and dining area, huge family room, separate den/office space, split floorplan 1st level 2nd bedroom/bathroom! Hardwoods grace most of the main living area! 2 custom blinds on all the windows is one hassle you don’t have to contend with! Dramatic 9′ ceilings! Extra recessed lighting throughout as well! Add in a 2nd level with open loft, 3rd bedroom, 3rd full bath plus extra storage & you have all the space you need! Expansive covered porch spans the entire back of the home and looks over the level FENCED IN backyard! Corner parcel for more privacy! Community features include pool, tennis, clubhouse, walking trails, parks, playgrounds, and loads of open space. Convenient to everything you need! If you’ve been looking for the perfect move-in ready almost new single family home with 1st floor master, HERE IT IS!!! Call today!!! Please, send me more information on this property: MLS# PACB111424 – $339,900 – 970 Ortley Drive, Mechanicsburg, PA 17055. 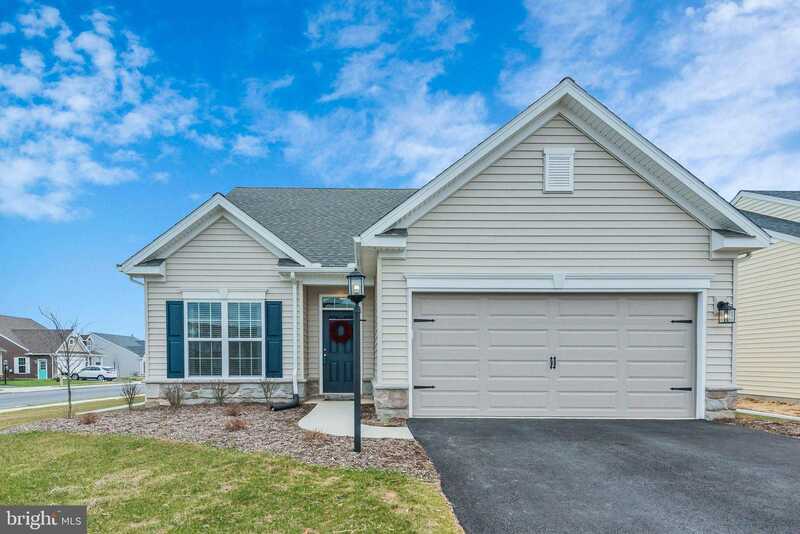 I would like to schedule a private showing for this property: MLS# PACB111424 – $339,900 – 970 Ortley Drive, Mechanicsburg, PA 17055.